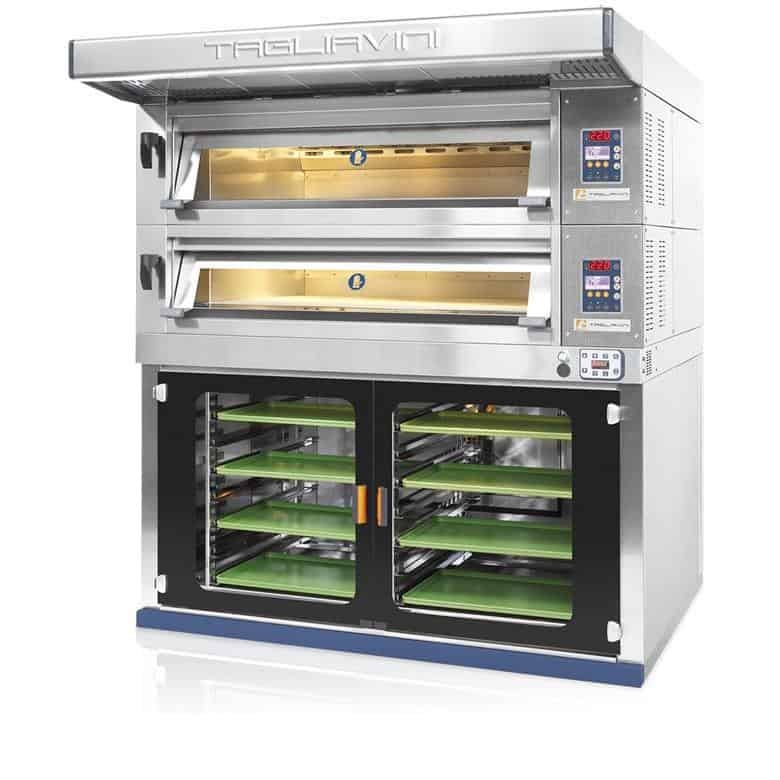 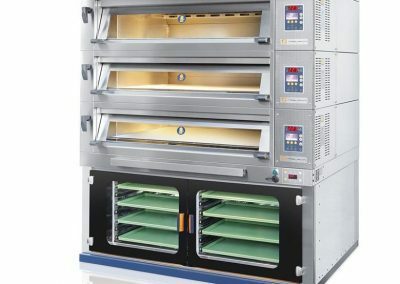 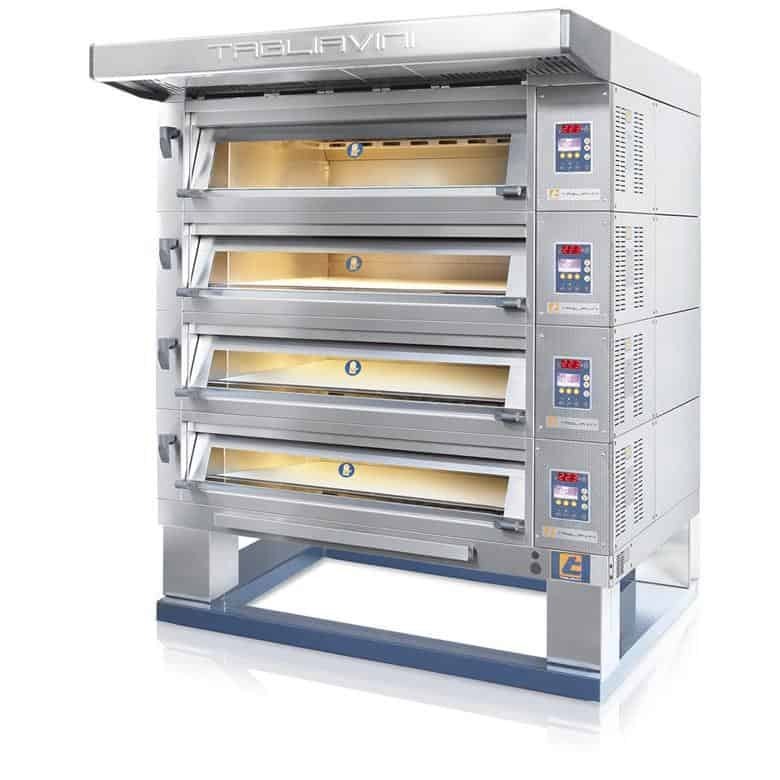 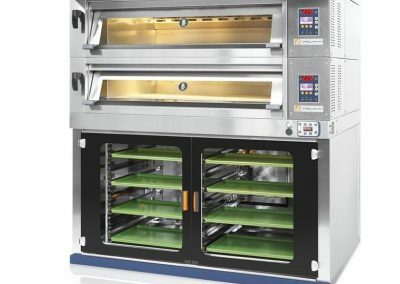 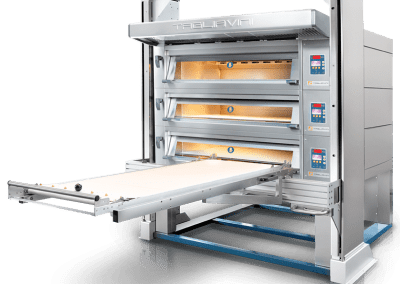 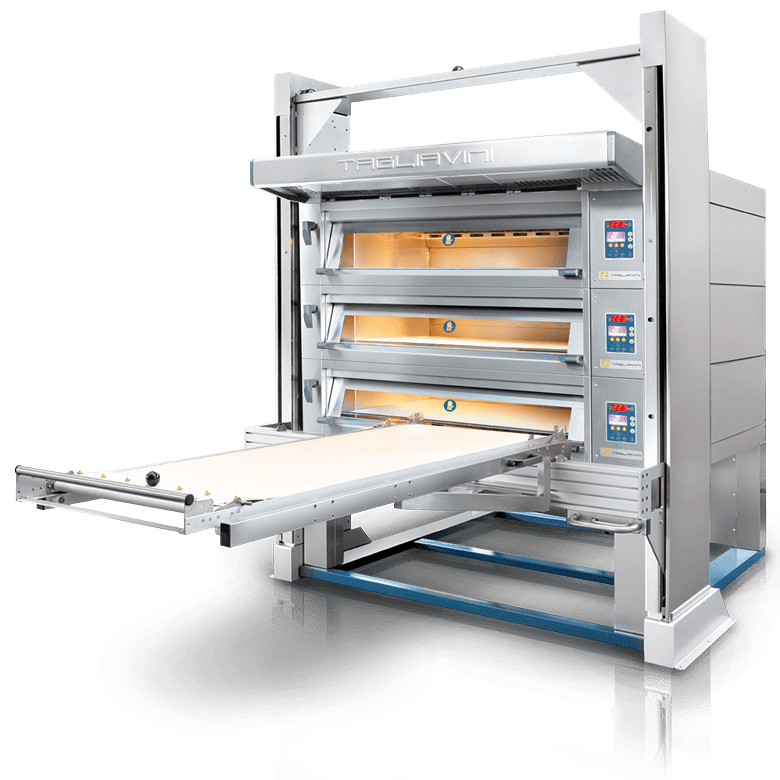 The Tagliavini Modular is an energy efficient, electric modular deck oven suitable for both small and large breads. 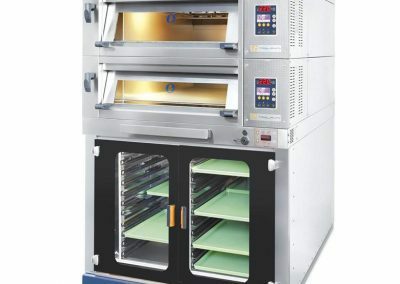  This easy to install oven offers bakers added flexibility by being able to individually control baking temperatures for each deck. 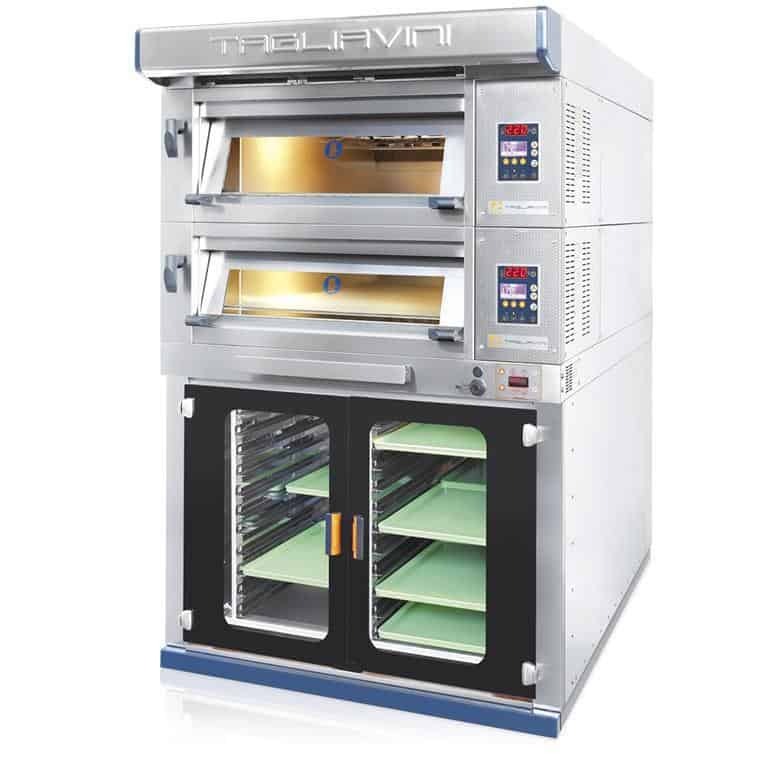 This oven features stainless steel construction for a durable, sleek, modern, and easy to clean finish. 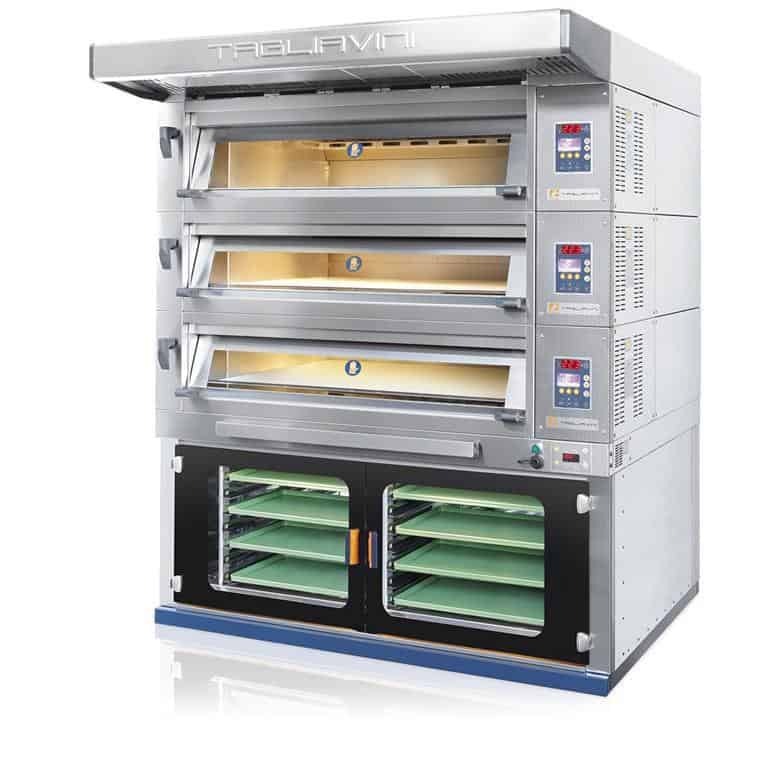 The oven deck is also made of reinforced concrete material. 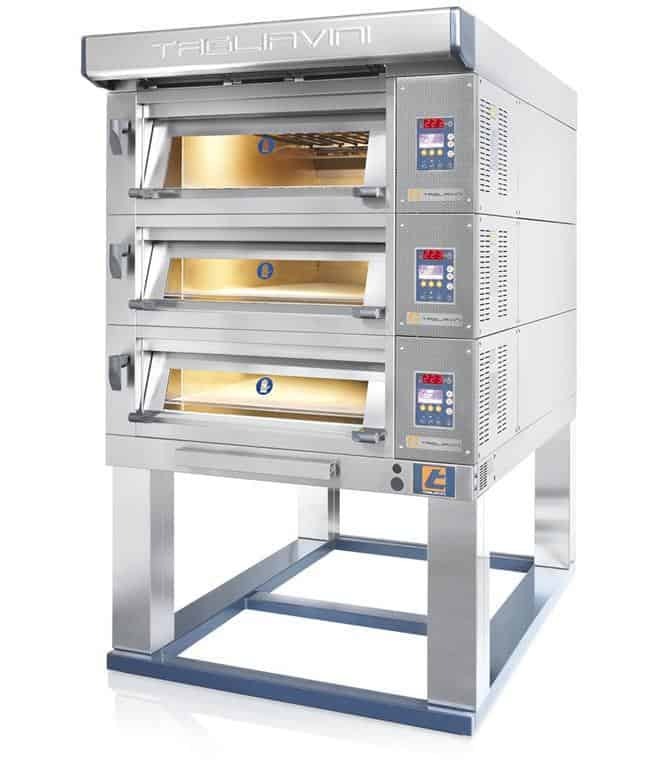 Each deck has its own self-contained heating element system and control panel. 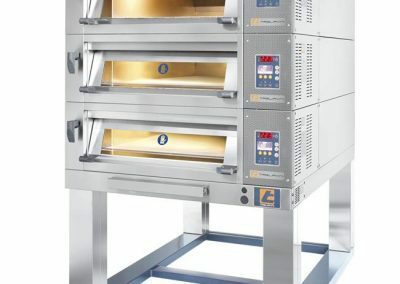 This allows each deck to have a different temperature at the same, enabling you to bake different products at the same time. 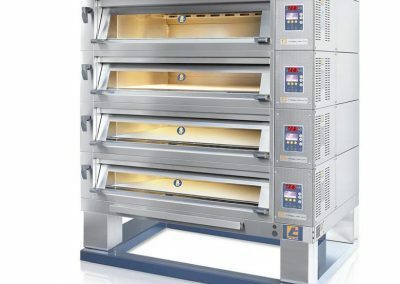 Maximum temperature is 280° C | 536° F.
An industry-leading electric deck oven available in a variety of confiugrations with available proofing cabinet and loaders.